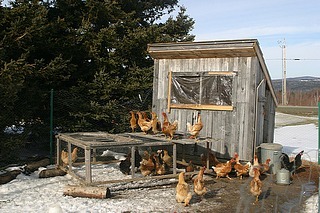 Here are some chicken coop pictures of the many coops that we have come across lately. 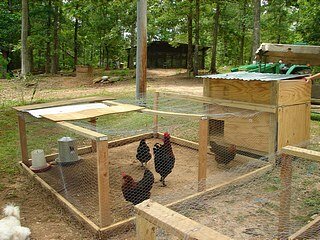 Check these out to get some ideas for you chicken coop. As you can see, coops can be as complex or a simple as you like. Some people choose to invest some serious time and money, while others choose to go simple and cheaper. You can make either choice work for you. Come back often as we will continue to update these pictures!! 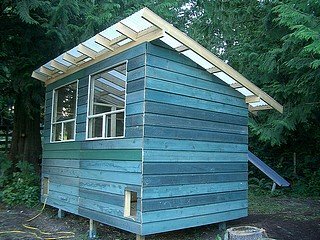 By the way, do you need plans to help build your own coop? Or you can just click the image below! 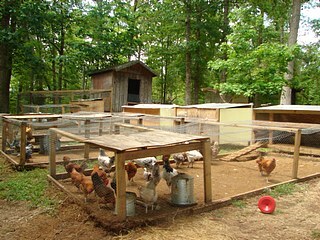 This is a simple chicken tractor design. Chicken tractor designs such as this are usually rather portable. 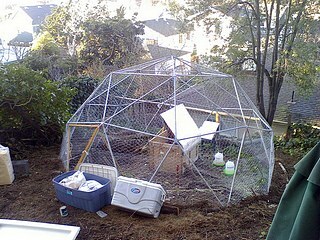 You can move this from place to place in your yard to give the chickens access to fresh grass and bugs. 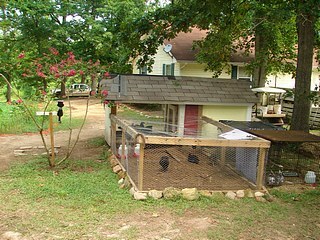 Above is a small elevated coop with a ramp that goes down into the chicken run. 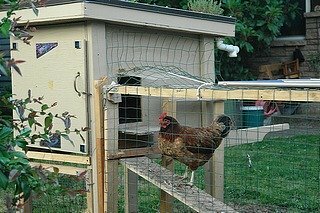 Advantages to an elevated coop could be extra protection from chicken predators. 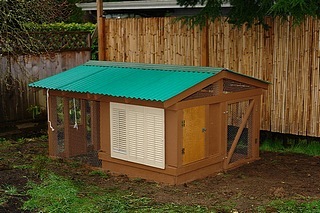 This is our chicken coop. 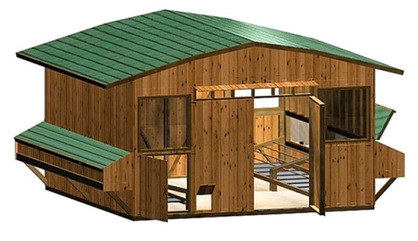 It is built into the side of the barn for extra chicken protection and is large. You can see see pictures of the inside at the chicken perch and the nesting box pages. 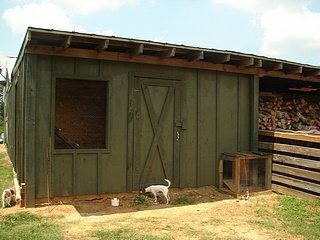 A small chicken coop and with chicken run. 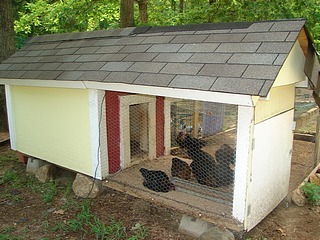 Here is a rather large coop with no chicken run. Another small chicken coop with a small run. 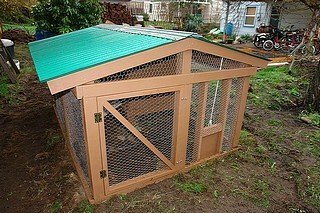 A good sized chicken coop with a small run to the side. The back side of a small chicken coop. 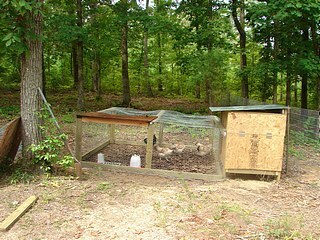 A small, but well built chicken coop and run. Another simple coop and run design. 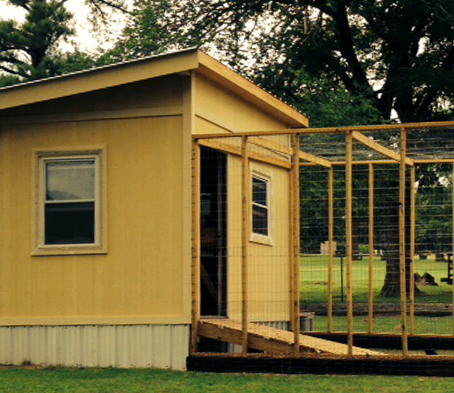 Proof that all things are possible when it comes to chicken coop designs. A crazy looking contraption. 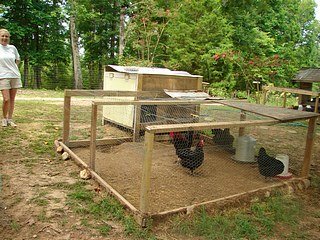 Simple chicken coops with runs. A large chicken coop for a big flock. 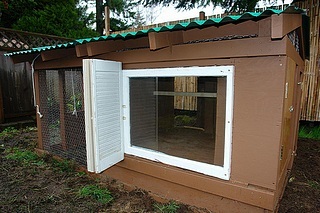 A well designed chicken coop and run. 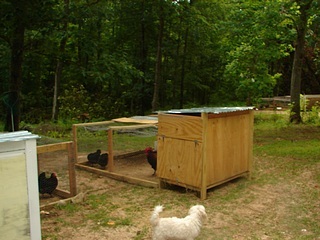 Another view of the well designed and built chicken coop from above. A close up of the chicken coop from above. 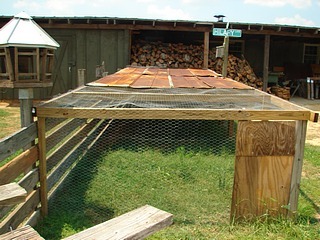 Our chicken run that goes off of our chicken coop that is attached to the barn. If you need quality coop plans make sure you click the image below and read my review!